Coppell, TX – June 25, 2015 – Advanced Technology Video (ATV) a leading provider of innovative video surveillance solutions, announces the release of its new NVR and IP Camera packages to the ATV IP Series product line. The new IP Systems offer four Full-HD 1920x1080 resolution bullet or mini-turret cameras along with a 4-ch and 8-ch NVR. The cameras feature fixed wide angle 3.6mm lens, True Day/Night functionality, Wide Dynamic Range and IR LEDs for night-time viewing. The IP cameras are rated IP66 for weather-tight performance and offer PoE and 12VDC power capabilities. 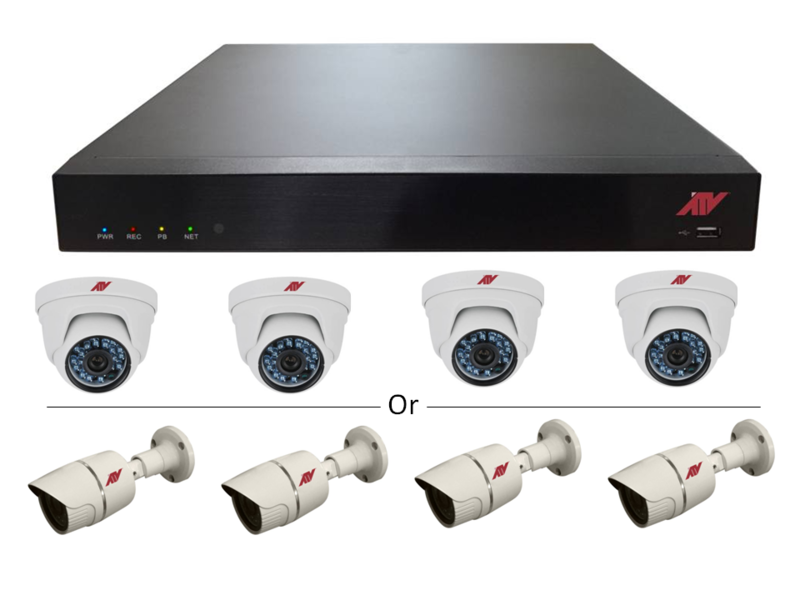 The 4-ch and 8-ch NVRs work with all ATV IP cameras, provide an embedded PoE switch for all channels and offer Full-HD 1920x1080 display on HDMI; also includes VGA Monitor Output. In addition to the professional license-free ATVision IP for remote viewing, the devices are compatible with Apple iOS and Android OS mobile applications. “ATV has received a significant amount of interest from our current and prospective customers looking to take advantage of our NVR packages. We are excited to release these products at a remarkable price”, says Keith Shaver, ATV’s VP of Sales and Marketing.